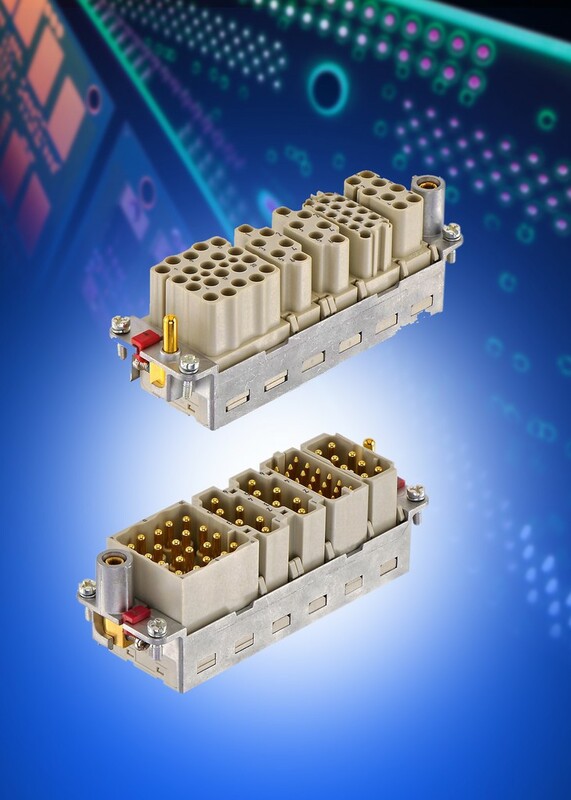 Harting has added a new hinged frame to the Han-Modular(R) range of industrial connectors. The new frame allows Han-Modular(R) components to be integrated with the company's family of High Mating Cycle (HMC) connectors, which are designed to handle more than 10,000 mating cycles. The Han-Modular(R) Hinged Frame HMC incorporates a specially plated PE (Protective Earth) contact with enhanced mechanical stability. These modifications enable the frame to be used in scenarios where the number of mating cycles exceeds 10,000, with no loss in performance. The new frame permits the integration of the Han-Modular(R) system into applications involving modular structured production facilities. These connectors are subject to ever-increasing demands because of more frequent intervals between retooling and machinery changeovers, with users demanding identical performance and reliability despite a higher number of mating cycles.